The Huntsman is an NPC in Monster Hunter World (MHW). Sometimes gives advices relative to the next assignments. Typically seen where the Commander is in Astera, on the deck of the ship where meetings are held, but off to the side. A member of the 1st Fleet. The only member of the 1st Fleet who loves using old equipment. He is the most skilled at fighting in the group. The reason why he sticks to using old equipment is that he says it's "too late for things he doesn't understand". 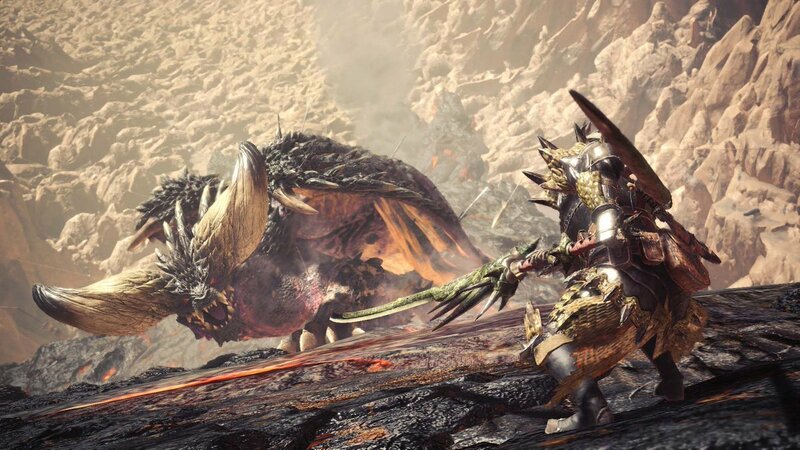 He appears to be using a Wyvern Blade made from Rathian materials. Looking similar to the "Leaf", "Verde" or "Holly" model from earlier titles. Seems to be a recurring character from some previous games in the franchise. Many claim him to be the same person as the hunter in MHFU intro. but then, this theory could be wrong since hunstman & the intro dude only wore the same helmet while the rest of their equipment were visually DIFFERENT. This is the same guy as the hunter near the tree (in town) in the original Monster Hunter. This page needs renamed to "The Huntsman"